Wholesale Jute Bags Custom Printed With Your Design. 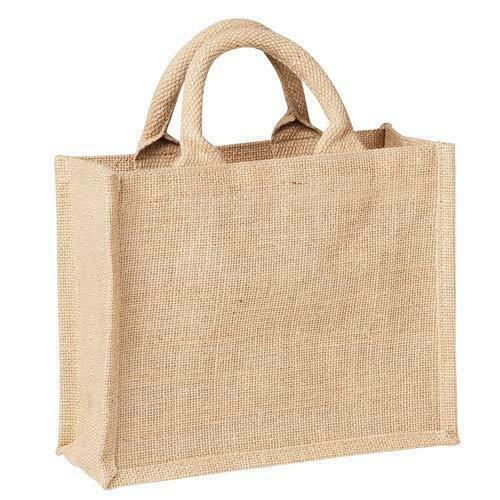 Versatile and robust natural hessian jute shopping bags printed with your company logo or design. Like the cotton bags, Jute bags have seen a dramatic increase in popularity and are perceived as a more durable alternative to cotton. The standard jute bag size we hold in stock is 400mm + 150mm x 400mm. We have found this to be the most popular re-use size amongst shoppers. Our Jute bags are printed in-house and can be delivered on short lead-times. Supplied with a soft round padded cotton handle.